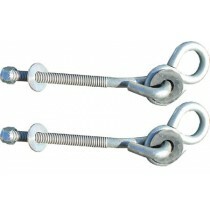 Pair of 4" bolt thru hangers, designed for 4 x 4 lumber Four inch Galvanized Bolt Ho.. 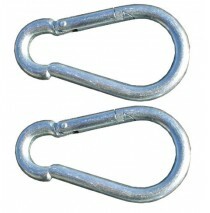 Pair of 6" bolt thru hangers, designed for 6 x 6 lumber Six inch Galvanized Bolt Hot..
Spring Clips for residential wooden swing sets. 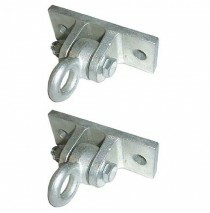 Two (one pair) 8mm Zinc Plated Spring Clip 3 3/8" in..
Two (one pair) of Iron Ductiles designed for residential wooden swing sets and wood playsets. 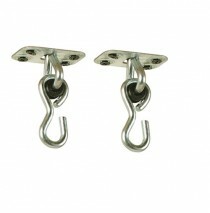 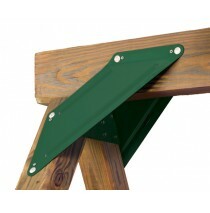 L..
Glider Swing Brackets by Swing Works. 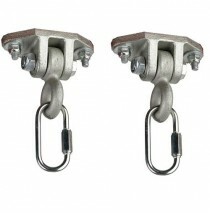 (one pair) Lag Bolt hardware is NOT included. 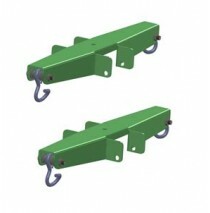 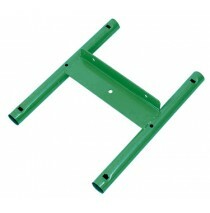 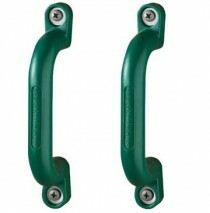 Requir..
Our Green Safety Handles by Swing-N-Slide, model WS 4410 easily attach to wooden swing sets. 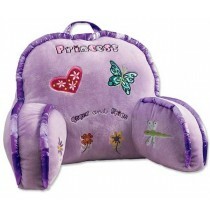 Kids en.. 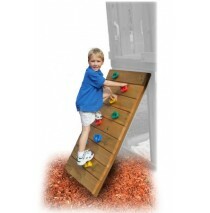 Climbing Rocks NE 4543 Note: 2 sets required for 4' rock wall, 3 sets required for 5' .. 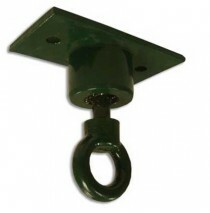 These Wood Swing Hangers are perfect for mounting swings to Swing-N-Slide Play Sets or DIY wooden sw..
Use the Anchor-It ground anchor system to fasten your backyard play set securely to the ground. 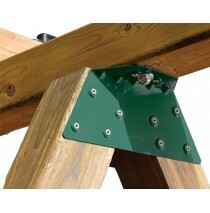 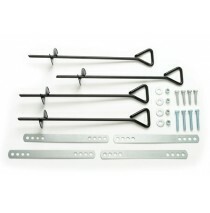 Each..
One EZ Frame Bracket* NE 4467-1 Eliminates the need for miter cutting. 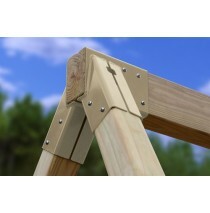 Note: Two brackets are ..
EZ Frame Brace NE 4470-1 One set Diminish side-to-side movement of swing set. 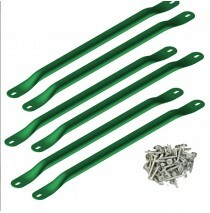 One set requir..
37" Metal Safety Handrails Powder coated green Fits 2x4 only Sold by pairs AVAILABLE IN ..
Safety Hand Grip ( Pair ) Durable polyethylene design 9.5" long Hardware included Availa..
****Sold In Sets of 4**** Features Free-Standing A-Frame Brackets 60 degree angle Sold as ..
Sold as a single ring Solid polyethylene ring Hardware sold separately Available in green,.. 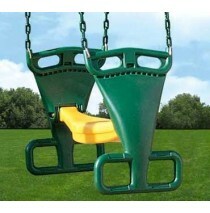 Weight Limit: 350 lbs. 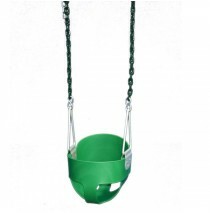 (Intended for use with NE4886 Extra-Duty Swing Seat) Heavy-duty swing .. 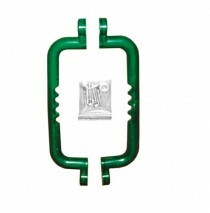 Residential use only Hardware is NOT included Installation instructions. 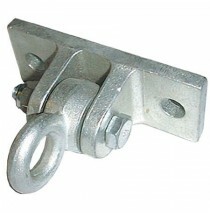 If your swing s..
Casted galvanized iron Long lasting bronze bushing Commercial grade Plate size: 5"L x 2"W 3.. 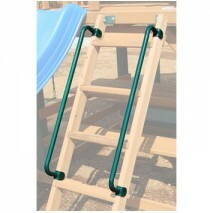 Residential Tire Swivel Plate size: 5"L x 2"W 3/8" carriage bolts required (not included) ..
Add a set of monkey bars to your wooden playset and increase the fun. 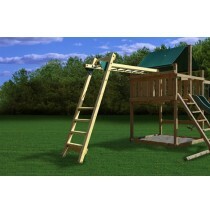 Kids love to climb and with ou..
Monkey Bars are the Perfect Upgrade for the Little Gymnast. 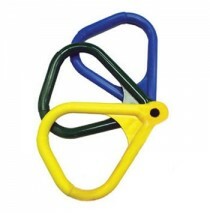 If your child is bored with the typical ..